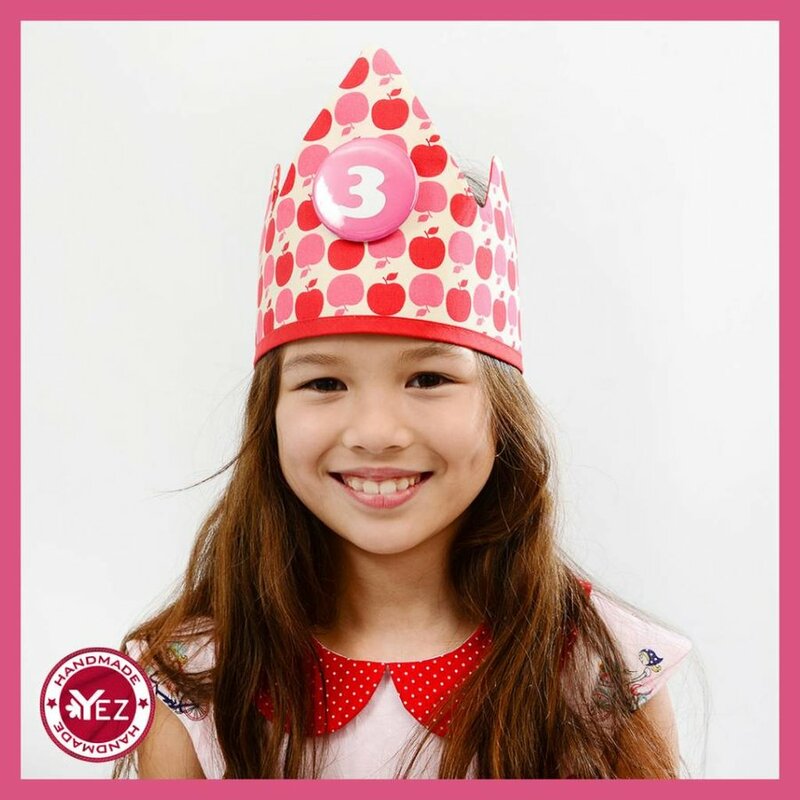 Our birthday crowns are very durable and can be worn for a long time, starting from your child’s first birthday, with all the buttons, to it’s 9th. They can be adjusted with a large piece of Velcro. These unique pieces are manufactured in small quantities in our workshop in Bruges or in the shop in Ostend. They are made with a lot of love and knowledge of the trade. Mass production does not suit us; we want your child to have something unique and more exclusive. The fabrics are meticulously chosen and we use as many certified organic cotton or Oeko-Tex certified fabrics as possible. There are many hazardous materials in fabrics, but we try to minimize this danger by making good choices, that is why we work with fabrics that are Oeko-Tex certified. The fabrics we use are all of the highest quality. You can just wash them at 40 degrees and they can definitely be used and worn by several children. In the event that we do outsource some of the production, we make sure people are paid fairly, because we believe everyone has the right to a fair wage.